Caption slip reads: "Photographer: Forbes. Date: 1951-09-20. Reporter: Greenberg. Assignment: Un American hearing. Robert L. Richards (Bow Tie). 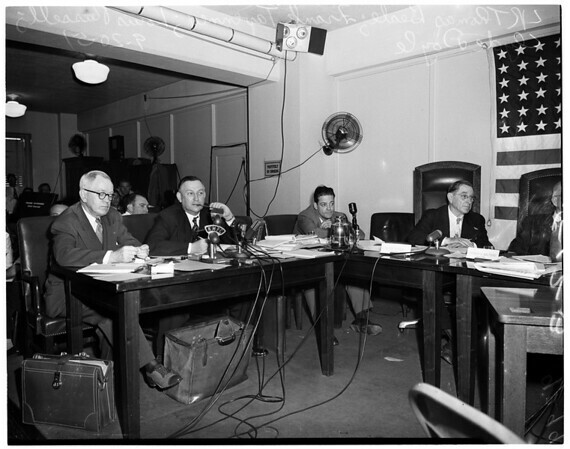 Chief Counsel Frank Tavenner, Jr. (Glasses). Ann Richards".